Connect an RCA male cable to BNC jacks. 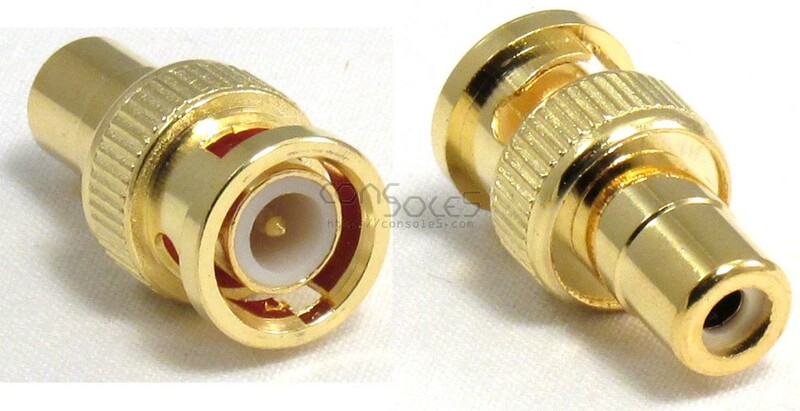 Includes 1 connector. Handy for connecting composite sources to professional video monitors, such as the Sony PVM, Panasonic, or JVC studio / hospital grade monitors.